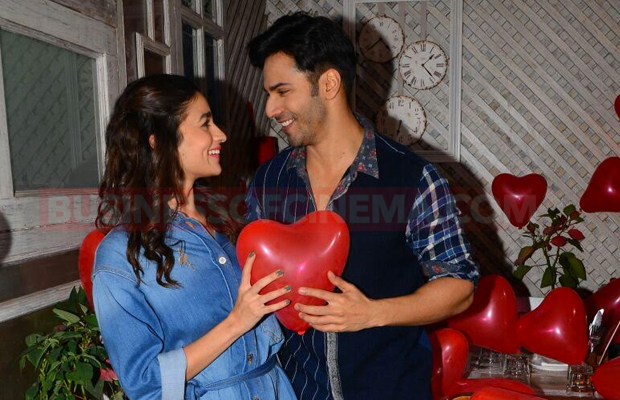 Varun Dhawan And Alia Bhatt Cozied Up For A Valentine Day Photoshoot! 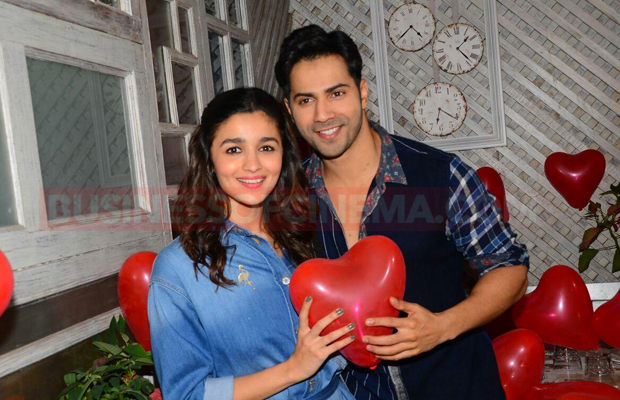 Home BOLLYWOOD Varun Dhawan And Alia Bhatt Cozied Up For A Valentine Day Photoshoot! With both in denim outfits and a romantic ambiance with red heart balloons all around, they enjoyed the yummy looking food. They played with each other, posed with the hearts and the food, and looked content with their date night. They engaged in laughter and conversation that was a source of amusement to both of them. Both Alia Bhatt and Varun Dhawan made their first debut in Bollywood with Karan Johar‘s Student Of The Year which was massively popular amongst the young population of India. After that, they did individual movies and created an identity for themselves. 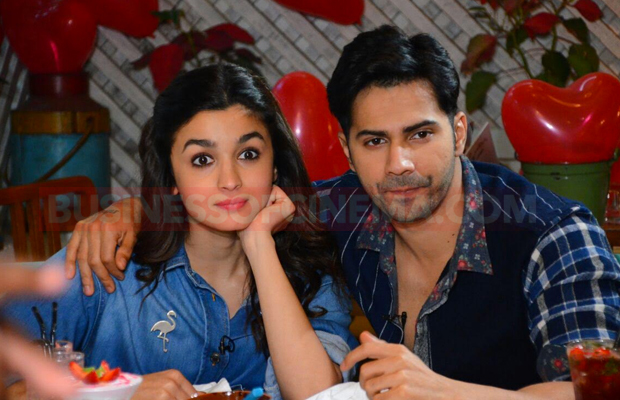 Their paths crossed again when they worked for Humpty Sharma ki Dulhania. Apart from that, they have appeared on various shows, talks, events etc. Badrinath ki Dulhania directed by Shashank Khaitan is next on the list and the chemistry is nowhere lacking. It is scheduled to release on March 10, 2017 and is about the two actors falling in love despite their opposing views on everything in life – a typical entertaining bollywood love story. Previous articleDangal Girl Sanya Malhotra Gets Yet Another Big Bollywood Break!